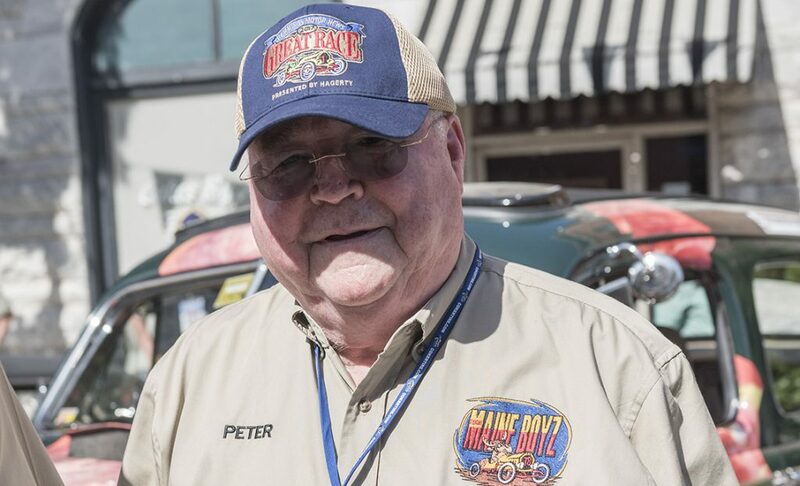 The 2013 Hemmings Motor News Great Race presented by Hagerty will start in St. Paul, Minn., as part of the 40th annual Back to the 50s car show and then rally along the Mississippi River to the Gulf of Mexico for a finish in Mobile, Ala., race promoter Corky Coker has announced. The race will start Saturday, June 22, and end Sunday, June 30, keeping with the events new 9-day themed routes, and the overall winner will receive $50,000 of the $150,000 purse. Participants will cross the Mississippi almost a dozen times during the nine-day, 2,100-mile event, driving on portions the famous Great River Road at times along the way. Plans are being finalized with cities up and down the river and routes are being worked on in the rally-friendly countryside on both the east and west banks of the Mighty Mississippi. In all, the Great Race will cover 11 states before finishing on tree-lined Dauphin Street in Mobile. The start will be held at the State Fairgrounds in St. Paul as the centerpiece of the Back to the 50s weekend. That event annually draws more than 11,000 cars and 125,000 spectators, making it the largest three-day car show of its kind in the world. Mobile, which is on the banks of Mobile Bay off the Gulf of Mexico, is the original home of Mardi Gras, and it has been celebrated there every Fat Tuesday (the day before Ash Wednesday) since 1703. Entry fee for the 2013 Great Race will be $4,500 for private entries and $5,750 for corporate entries. There is a $500 discount off those prices through Sept. 30, 2012. We will again provide all lunches and dinners for racers, as well as breakfast many mornings, Coker said. And all support crews will be included at each hosted dinner. The announced $50,000 first prize money is based on 100 entries. Additional details can be found at www.greatrace.com. The Great Race is a controlled-speed/timed/endurance road rally open to all 1969 and older model year automobiles. A handicap system gives a competitive advantage to older cars, and there is a separate class  with a separate prize fund  for rookie teams. Next years race will be the 30th anniversary for the event, and the Great Race is in its third year of themed routes after more than two and a half decades of coast-to-coast races. In 2011, the Great Race followed the Appalachian Mountain range from Tennessee to Vermont. And earlier this summer the 2012 race circled the Great Lakes from Michigan, through Canada to New York state and back to Michigan. The 2012 race was witnessed by hundreds of thousands of spectators in 20 promotion cities and along the backroads of North America, including 25,000 in Traverse City, Mich., and 15,000 in Fairport, N.Y. 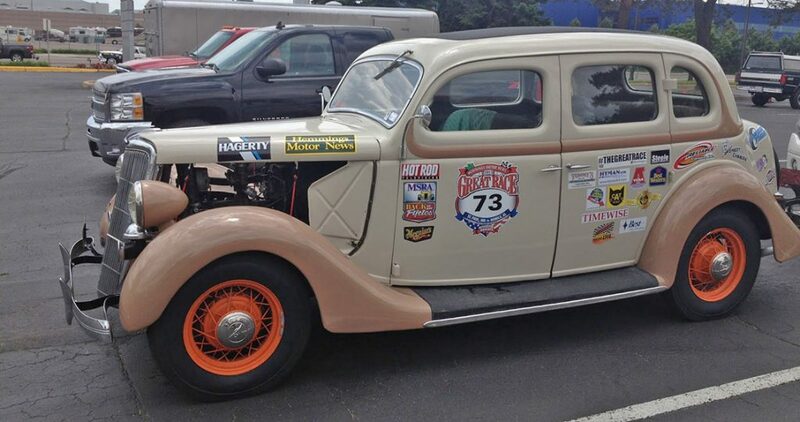 The winners of the 2012 event were Barry and Irene Jason from Keller, Texas, in their 1935 Ford Coupe. 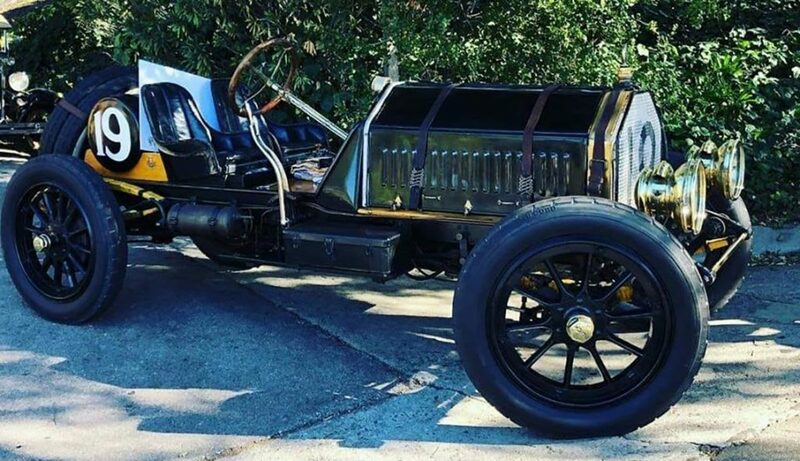 They were challenged heavily by 91 other vehicles, including a 1907 Renault, a 1914 Ford Model T, a 1916 Hudson, a 1916 Packard Twin Six and a 1917 Peerless. The newest car in the race was a 1969 Saab, and there were dozens of 1950s classics like 57 Chevys and 60s cars like Mustangs and Corvettes. 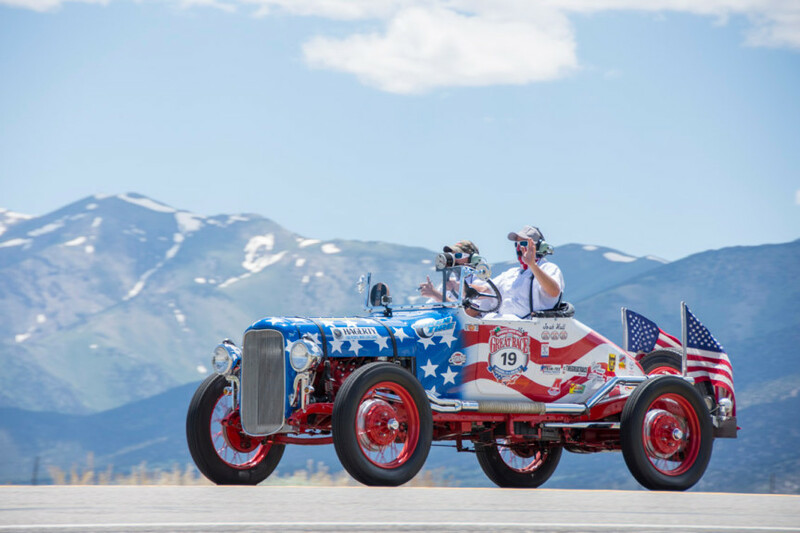 Coker Tire and Reliable Carriers are major sponsors of the Great Race, along with Hemmings Motor News and Hagerty. For additional information on the 2013 Hemmings Motor News Great Race presented by Hagerty, visit its web site, www.greatrace.com, or contact Jeff Stumb at [email protected] or 800-989-RACE (7223). This really is going to be a dream rally for the participants. The distance between the overnight stops (which will be announced in the next two weeks) is not far, so we will spend the better parts of each day out in the countryside rallying instead of trying to make distance. Some the my favorite rally memories were from Illinois, Iowa and Missouri. The terrain is fairly flat and rural. So you can expect a lot of turns, loops, stops and speed changes. The entire route will be like the last three days of the 2012 Great Race in New York, Pennsylvania and Ohio. I notice that on the second crossing we only get half way across…should I bring my swim suit? No swim suits this year, it’s skinny dipping only!